At METEC, nokra will launch its new alpha.cb laser-optical system for the measurement of crossbow in strips. The new system can be used, among others, for optimizing the control of stretch-levelers. The company“s further exhibits will include optical gauges for combined inline measurement of thickness, flatness and contour of plates as well as for high-precision strip thickness measurements. The new system measures crossbow of strip in an inline process. The results from the measurements can be used to optimize stretch-leveler control so as to minimize crossbow formation. With processes becoming increasingly digitally interlinked, the measurement data can also be used to optimize up and downstream processes – such as hot and cold rolling – by analyzing whether and where cooling strategies or coiling methods may promote crossbow formation. The system operates according to the light-section method, which uses laser lines projected onto the strip surface. The measuring frame, which accommodates the transmitter and receiver optics, is low enough to not interfere with the movements of the hall crane. At the same time, the optical equipment is arranged at a safe distance from the strip surface, ruling out any risk of mechanical damage. The system requires no compressed air and no water cooling. It measures height at an accuracy of 0.1 mm. Together, the two cameras of the system capture approximately 3,200 pixels across the strip width. For a 1,800 mm wide strip, this means a transverse resolution of 0.6 mm. For plate rolling mills, nokra will show laser-optical gauges for the combined inline measurement of flatness, thickness and contour. The sensor equipment for these measurements has been arranged within a very compact system. These gauges are often used in plate mills at the hot rolling stands to monitor the rolling process, in downstream process stages, for example, at cold leveling machines, and for quality inspection of the finished plates. Also on display at METEC will be nokra“s alpha.ti 4.0 system, a laser-based, non-contact gauge for high-precision strip thickness measurements. The gauge operates at a measuring accuracy of 0.01% of the measuring range, i.e. over 15 mm the accuracy is +/- 1.5 µm. It features an automatic monitoring function that makes it MSA-compliant. nokra GmbH is international medium-sized business specialized in high-end measuring and testing equipment for the manufacturing industry. The systems measure and test geometric features such as length, width, thickness, profile, shape and position. nokra itself develops the laser sensors and automated inspection systems for its systems. This enables nokra to customize every system to the specific requirements of its clients and optimize it for the respective application. The company builds on comprehensive experience from a wide range of projects addressing specific measuring application in the steel, aluminum and automotive industry as well as glass processing, plastics industry and plant engineering. Auf der METEC zeigt nokra erstmals das neue laseroptische System alpha.cb für die Messung des Querbogens von Band, das unter anderem für die optimale Regelung von Streckbiegerichtern eingesetzt werden kann. Außerdem stellt das Unternehmen die optischen Systeme zur kombinierten Inline-Messung von Dicke, Ebenheit und Kontur von Grobblech und die hochpräzise Dickenmessung an Band vor. Das neue System misst den Querbogen von Band inline. Die Messergebnisse können dazu genutzt werden, zum Beispiel Streckbiegerichter so zu regeln, dass der Querbogen minimiert wird. 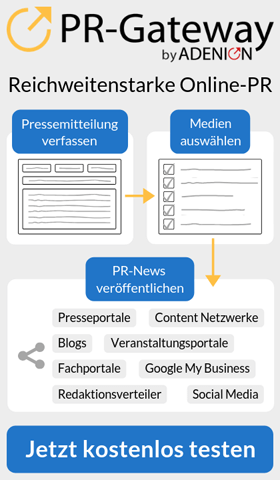 Im Zuge der beständig zunehmenden Vernetzung von Prozessen ist es darüber hinaus möglich, die Ergebnisse auch in die Optimierung der vor- und nachgelagerten Prozesse – zum Beispiel beim Warm- oder Kaltwalzen – einfließen zu lassen und etwa zu analysieren, welche Abkühl- oder Wickelprozesse das Entstehen von Querbögen begünstigen. Das System arbeitet nach dem Lichtschnittverfahren, bei dem Laserlinien auf die Oberfläche des Bandes projiziert werden. Der Messrahmen, in dem die Sende- und Empfangsoptik angeordnet ist, hat zum einen eine so geringe Bauhöhe über dem Band, dass es den Krantransport in der Halle nicht behindert, zum anderen sind die optischen Komponenten so weit von der Bandoberfläche entfernt, dass kein Risiko einer mechanischen Beschädigung besteht. Das System benötigt weder Druckluft noch eine Wasserkühlung. Die Messgenauigkeit der Höhenmessung liegt bei 0,1 mm. Die beiden Kameras des Systems erfassen zusammen rund 3.200 Pixel über die Breite des Bandes. So ergibt sich bei einem beispielsweise 1.800 mm breiten Band eine Auflösung quer zur Bewegungsrichtung von 0,6 mm. Für die Grobblech-Walzwerke zeigt nokra die laseroptischen Systeme für die kombinierte Inline-Messung von Ebenheit, Dicke und Kontur, deren Sensorik das Unternehmen in einem kompakten System vereint. Diese Systeme werden in vielen Grobblechwerken an den Warmwalzgerüsten zur Überwachung des Walzprozesses und in nachgeordneten Prozessstufen an Kaltrichtmaschinen und für die Qualitätskontrolle der fertigen Bleche eingesetzt. Außerdem präsentiert nokra das ebenfalls laserbasierte System alpha.ti 4.0 für die berührungslose, hochpräzise Messung der Dicke von Band, das eine Messgenauigkeit von 0,01 % des Messbereiches erzielt – bei beispielsweise 15 mm also +/- 1,5 µm. 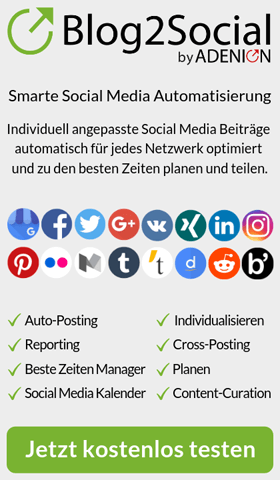 Mit seiner automatischen Überwachungsfunktion ist es messmittelfähig. Die nokra GmbH ist ein international operierendes mittelständisches Unternehmen, das hochwertige Mess- und Prüfsysteme für den Einsatz in der Fertigung anbietet. Die Systeme erfassen und prüfen geometrische Merkmale wie Länge, Breite, Dicke, Profil, Form und Lage. Die dafür erforderlichen Lasersensoren und automatisierten Prüfanlagen entwickelt und produziert nokra selbst. So kann jede Anlage den spezifischen Aufgaben der Kunden angepasst und für den jeweiligen Anwendungsfall optimiert werden. nokra verfügt über umfassende Expertise im Umgang mit messtechnischen Fragestellungen der Stahl-, Aluminium-, Automobilindustrie, dem Anlagenbau sowie der Kunststoffindustrie und Glasverarbeitung. Jena, 11.04.2019 – Due to its high quality standards biolitec® has understood right from the start what safety is all about: The FUSION® technology of biolitec® was developed to enable physicians to work as safely and low-risk as possible and to reduce possible material-related risks for patients during surgery to a minimum. With the unique FUSION® technology, the quartz fiber tip is not simply glued to the laser fiber, but safely fused to withstand the highest tensile forces. The loss of the fiber tip in the vein during the treatment and the associated surgical intervention are thus almost impossible. In combination with the lasers of the LEONARDO® DUAL series, the FUSION® technology of biolitec® offers an optimal safety concept in minimally invasive laser therapy. The ELVeS® Radial® laser minimizes postoperative pain and injury compared to hemoglobin-directed 810 nm to 980 nm lasers due to the 40 times higher absorption rate in water. In varicose vein therapy, the 1470 nm wavelength in particular benefits a positive course of treatment. In addition, the fibers of the ELVeS® Radial® series have an exclusive and patented distal design that enables homogeneous laser radiation. This minimizes the risk of venous perforation and ensures high echogenic visibility. The laser energy can be individually dosed and applied to veins of different sizes without having to treat individual sections a second time. The irreversible photothermal process that results leads to a safe closure of the treated vein. Our state-of-the-art technology enables minimally invasive endoluminal treatment of insufficient veins – safe and simple! Not only for experienced doctors, but also for newcomers who want efficient and easy-to-use technology. The possibility of using two wavelengths in a compact, mobile and space-saving laser system is a great advantage, as is the low maintenance requirement. Each wavelength of LEONARDO® lasers can be individually selected or applied simultaneously to achieve the desired tissue effects such as incision, excision, vaporization, hemostasis and soft tissue coagulation. The LEONARDO® DUAL lasers of biolitec® are – except in phlebology – suitable for minimally invasive applications in proctology, urology, gynecology, orthopedics, thoracic surgery, pneumology, ENT and esthetic surgery and of course all fibers of biolitec® are equipped with the FUSION® technology. The laser system consists of lasers with a power of 45, 100 or 200 watts. Further information about biolitec® products can be found at www.biolitec.com. biolitec® is one of the world’s leading medical technology companies in the field of laser applications and the only provider which possesses all the relevant core competences in the field of photodynamic therapy (PDT) – photosensitizers, lasers and fibre optic cables. Besides laser-supported treatment of cancers with the drug Foscan®, biolitec® researches and markets above all minimally invasive, gentle laser procedures. Laser-assisted online inspection of the strip edges reveals minor contour deviations. The new ConScan® system by hpl-Neugnadenfelder Maschinenfabrik visualises the edge contour shape of narrow strips, thus allowing the operator to intervene immediately in the production process in case of minor deviations from the specified contour. When machining the edges of narrow strips as for example after a slitting process, the shape of the strip edges is an essential part for many applications. On the one hand, no cutting burrs should arise; on the other hand, special applications require the strict observance of specified radii and the position of their vertices. Experienced operators recognise by the flow of chips generated during the machining process if the edge contour corresponds to the specifications. This, however, includes a very high subjective influence. The machined edge contour can be assessed more objectively if a sample is cut at the end of the coil which is then examined, for example, under a transmitted light microscope. This method is very accurate but has the disadvantage of examining the edge shape only after a complete coil has been machined. Since the requirements regarding the exact shape of the strip contours has been continually increased, hpl-Neugnadenfelder had been asked by many of its customers to find a solution for a precise online measurement of strip edge contours. This has resulted in the development of ConScan®, a laser-based system for the visualisation of strip edge contours. It displays in real time the contour of all strip edges graphically on a screen. The system visualises typical defects, as for example burrs, edge chippings as well as radii and edges that are out of alignment. Tests show that even the smallest deviations such as minor edge chippings can be displayed clearly in full detail. This allows the operator to adjust the chip removal during the running production: the quantity of produced high-quality strips increases, production downtimes are avoided. The system displays deviations from the specified edge contour of approximately one-hundredth of a millimetre. In a further development stage, the deviations are to be measured and the measured values directly incorporated into the control of the knife positions. ConScan® is equipped with two laser sensors on each strip side. They project lines on the target edge which are detected by cameras mounted at a tilted angle. Their resolution is a few µm. Based on the course of the projected lines, the strip edge is calculated by the software and displayed on a screen. hpl-Neugnadenfelder has developed ConScan® for strips having, for example, just been cut in a slitting line and featuring strip widths ranging from 2 to 200 mm and strip thicknesses from 0.3 to 4 mm. Because of being only about 300 mm long in direction of the strip, the system can also be retrofitted into existing edge trimming lines. hpl-Neugnadenfelder Maschinenfabrik GmbH is a German engineering company focused on the development and manufacturing of logistics, machining and processing systems for strips made of steel, stainless steel, coated metals and special metals. Due to decades of experience and a deep understanding of the strip value chain, hpl-Neugnadenfelder Maschinenfabrik is able to solve any customer challenge. The focus is on developing versatile systems platforms which can be customised to the relevant technical and spatial requirements of clients. 50 employees design and manufacture the lines at the company headquarter in the northwest of Germany. Together with its sales agencies in the leading industrial nations, hpl is present all over the world. The company founded in 1979 is part of the Neuenhauser Group of companies, a family-owned engineering company with more than 2.800 employees, based in Neuenhaus/Germany. ESCHBORN, 12. März 2019 – Bilddiagonalen bis zu 120 Zoll (3,05 m) und kristallklare Full-HD-Auflösung. Diese Träume fürs eigene Heimkino erfüllt LG Electronics mit der aktuellen Projektor-Generation 2019. Ab sofort erhältlich sind die neuen Laser-Projektoren Andante 2.0 HF80LS und Allegro 2.0 HF85LS (Ultrakurzdistanz) – auch verfügbar in den Versionen HF80LSR und HF85LSR ohne TruMotion. Ebenfalls neu im Handel sind die LED-Projektoren Adagio 2.0 HF65LS (Ultrakurzdistanz) und Largo 2.0 HF60LS – mit den Modellen HF65LSR und HF60LSR auch ohne TruMotion erhältlich. Bonn/Livani, 08. March 2019 – CeramOptec, one of the leading international developers and manufacturers of multi-mode optical waveguides made of quartz glass, enhances the safety for users of fiber-coupled high-performance lasers. Safety glass fibers with electrical contacting now facilitate the creation of active protective devices that automatically switch off the laser in the event of fiber breakage or connection failures. To this end, the polyamide jacket of the CeramOptec safety fibers contains two extremely thin copper wire conductors that are integrated into the circuit of the laser system via the usual fiber couplings. In case of a fiber breakage these conductors are destroyed and the circuit is thereby interrupted; contact interruption also happens in the event of malfunctions in the interface area between the fiber and the beam source. Users of medical or industrial lasers are thus reliably protected against the emission of harmful laser radiation. Since the two copper wires are applied together with the polyamide sheathing after the fiber drawing process, the new fiber concept can be implemented for all standardized CeramOptec glass fibers. All-rounders such as the standard Optran© UV/WF fibers are also available as safety fibers, as are the solarization-free Optran© UVNSS special fibers or the homogenizing Optran© NCC fibers with polygonal core geometry. For optimum coverage of all bending radii and temperature zones, safety fibers are available with copper wire conductors of 50, 100 and 150 micrometers. Custom configurations are also available on request. CeramOptec®, in cooperation with Ceram Optec SIA, specializes in the manufacture of silica-glass multi-mode optical fibers. The medium-sized company was founded in 1988 and today is a subsidiary of biolitec AG, one of the world’s leading medical technology companies in the field of laser applications. With offices in China and distribution partners in the US, India, Japan and Korea, CeramOptec enjoys a strong presence, not only in Europe, but also in the Asian and North American markets. The range of products includes fibers, fiber bundles, assemblies and cables for a wide range of applications, including industrial and medical laser applications, aerospace sensor systems, and spectroscopic applications for use in astronomy and in the chemical industry. A specialty is the production of fiber optic cores with four- to octagonal geometry (non-circular core fibers/NCC), which are mainly used in astrophysics. The biolitec group has a total of about 245 employees.